A perfect morning for a 10-mile run. Cherry blossoms freshly in bloom, barely perceptible wind and mild temperatures. 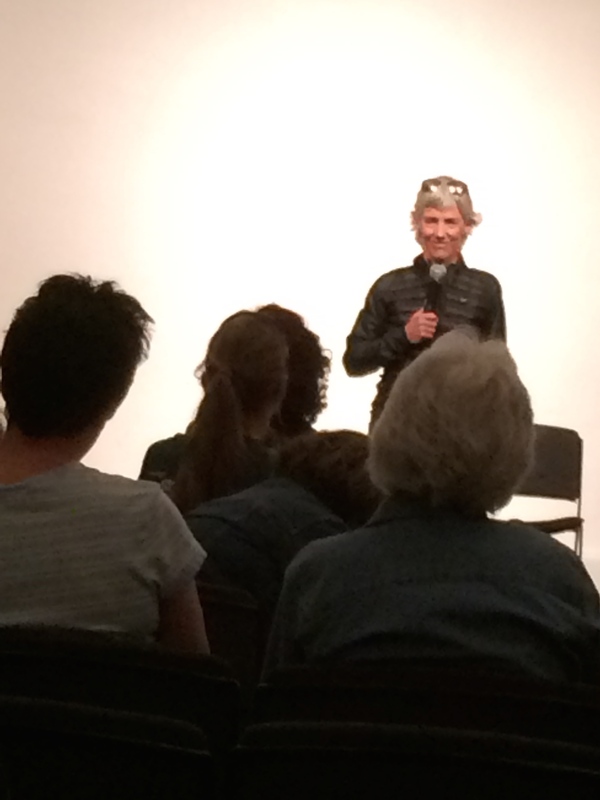 With heavy traffic on this beautiful weekend, we arrived in D.C. just in time to pick up my packet for the Cherry Blossom Ten Mile Run and catch the Q&A portion of Joan Benoit Samuelson’s presentation. She has that ability to take all the technical jargon out of running and bring it down to common sense. She is a treasure. Race morning we skipped the metro and did a combo walk jog to the race start, getting a little warmup in on our way. Enroute, we happened upon a friend of elite runner Aliphine Tuliamuk (3rd place woman finisher this year) who came into town to support Aliphene. We chatted about running and about life in Kenya. 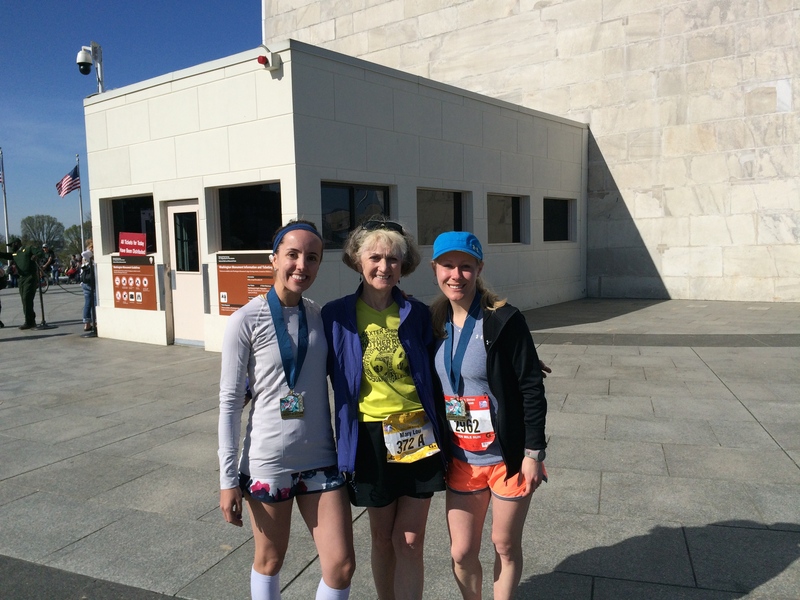 As we arrived at the start, she went to find her elite runner friend and we parted company. 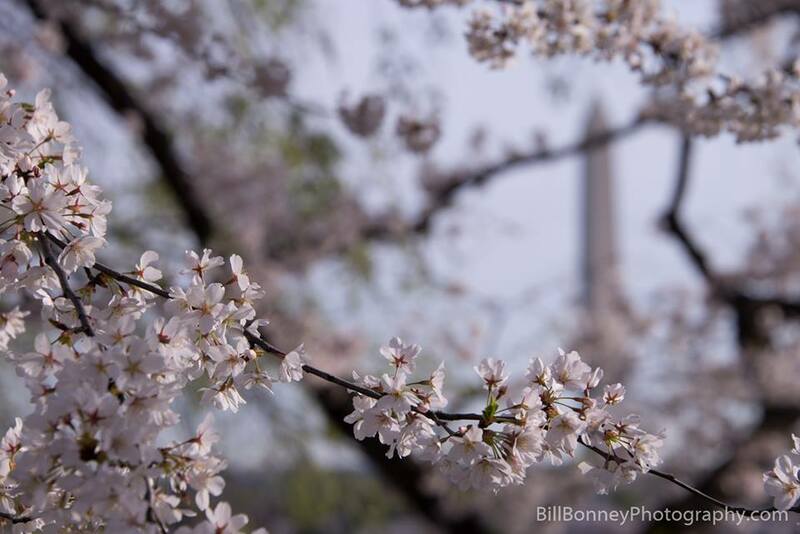 This year I applied to the Cherry Blossom through the seeded runner category. Finding myself in a corral with elite runners gave me a brief case of the nerves. A had a vision of every other runner taking off ahead of me, while I was out there at the tail end, running solo until the next corral caught up. My husband behind the barricade reminded me of Joan Benoit’s advice the previous day: “Run your own race.” Excellent advice. I did just that and held my own. At the Memorial Bridge turnaround, I hear the voice of a young friend from my local running group as she flies by with her 7-minute mile. Always good to see a familiar face, however briefly. The course was beautiful with the cherry blossoms lining the road for miles, the Potomac sparkling in the sunshine. Although there were 18,000 runners on the course, I had plenty of room with no need to zig or zag through runners. Only in the last mile did it become a bit congested. I crossed the finish line with a net time of 1:23:27, third in the Women’s AG 65-69. Photo time with fellow River Runners from Central PA. Thank you Cherry Blossom Race staff and volunteers for a wonderful run, a safe route and a great way to see almost ten miles of D.C. It was a pleasant walk back to the Renaissance Hotel (great location and wonderful staff) from the finish. Tourists were now out on the streets en masse and unlike the course, here we did need to zig and zag among other pedestrians. We had talked beforehand about taking in a few museums before leaving town, but already on our feet since 5 a.m. we decided to do a post-shower exit and head for home. Which brings me to my favorite food recommendation for the weekend. A mid-trip lunch stop in Timonium, Maryland took us to Jason’s Deli. A casual, cafeteria-style restaurant with fresh, beautifully seasoned dishes, it was the perfect post-race meal. I chose something called a salmonwich, sockeye salmon with guacamole and several fresh vegetable additions along with a side a fresh fruit and sweet potato fries. My husband ordered a bowl of gumbo with a huge green salad. I looked for Jason’s Deli on the web and learned this is actually a chain. Hey, Jason’s – please locate a deli in Central Pennsylvania. You will have a couple of regular customers. A wonderful but brief weekend stay in D.C., a well-orchestrated and scenic race followed by delicious food as we were homeward bound. A weekend worth repeating sometime. 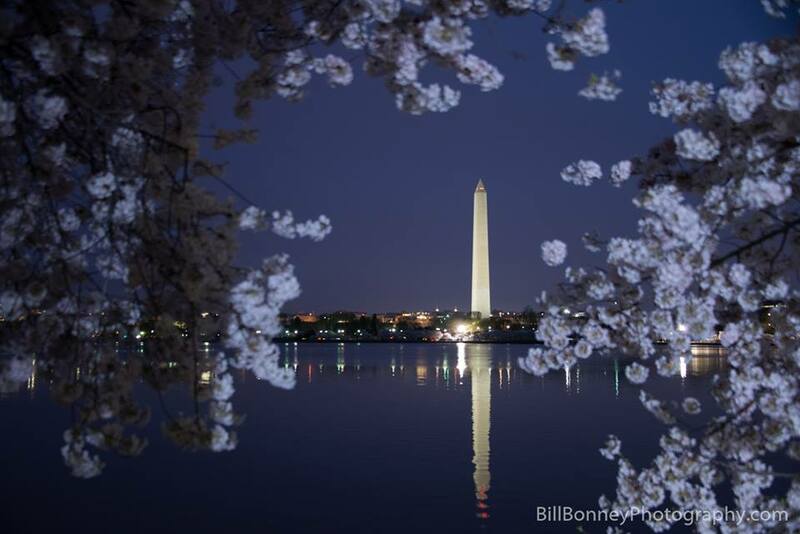 Until next year’s blossoms ……………. The Cherry Blossom race sounds SO epic. If I were on the east coast, it’d be bucket list item for sure. It is epic. If you happen to be in the east in the spring, I highly recommend it. And, if you can’t get a spot, I also highly recommend the much smaller, but definitely fun and scenic Capital 10-Miler http://capital10-miler.com where yours truly serves as race director. So jealous! One day I’ll see the cherry blossoms again. And yes – I remember the days of the 7-minute mile. Alas, no more! 🙂 Looks like a great weekend! I’m impressed. The 7-minute mile is a pace that eluded me even as an early runner. It was only when I raced in cross-country! Love your recap. I could only dream of what it was like to start the race with the elites! Thanks for finding out the official race distance. 9.39 miles – I ended up finishing with 9.54! Congrats on your race! And congrats to you on a negative split, picking up your pace in the final miles. Very impressive. For whatever reason, that hill in mile 10 seemed really tough. I run races around Philly now and then. Perhaps we will run across one another.